Purchasing a hot tub gives you a place to unwind after a long, stressful day. However, buying a hot tub isn't something you do frequently, and if you don't know exactly what to look for, the multitude of options available could easily overwhelm you. Make the buying process easier by taking these things into consideration. Before you start shopping, decide on a location for your hot tub. Consider purchasing an indoor hot tub that you can use year round if you have enough room in your house. If purchasing an outdoor hot tub, choose a location that’s close to an electrical outlet. Also, the area needs to be level and sturdy enough to hold the weight of the hot tub when it’s filled with water. Many people put their hot tubs on a deck or patio for easy access. There are two main types of hot tubs: permanent and portable. Permanent hot tubs are built into the ground. They are made using a material, such as cement, which is poured into a hole in the ground in the same way that it is when building an in-ground pool. 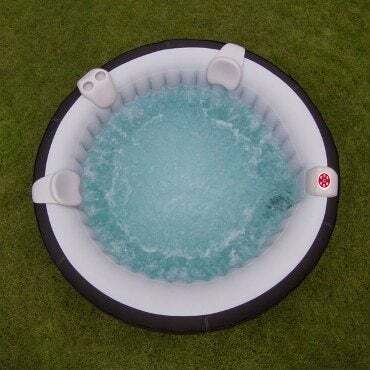 Portable hot tubs are stand-alone units that sit above ground. These units can be moved if necessary, but often homeowners include them in the sale of the house if they move, especially if a deck was built around the unit. If you want a hot tub that’s easy to move, consider an inflatable, portable hot tub. Hot tubs are designed to hold a specific amount of people, so purchase one that’s big enough to fit your family’s needs. For example, if you have a family of six, consider purchasing a hot tub that holds six people. This way, your entire family can enjoy the hot tub together, but just make sure that the hot tub you choose also fits in the location you’ve chosen. More jets in your hot tub means more massage power, so choose a hot tub that has a lot of jets if you want your muscles massaged as you relax. The location of the jets is also important, because you want the water pressure to massage the right muscle areas. 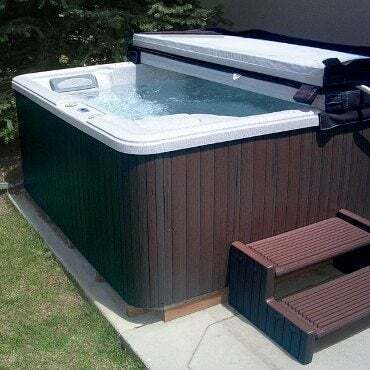 Fortunately, many hot tubs have adjustable jets that allow you to adjust the strength and direction of the water. Hot tubs are available with different interiors and exteriors. Choose a style and color that is both pleasing to you and complements area surrounding the hot tub. 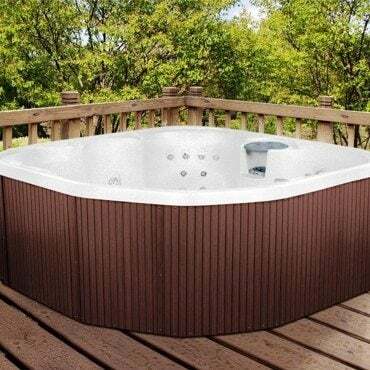 For example, wooden hot tubs are ideal for deck placement because they blend into the surrounding environment. Also, decide whether to purchase a roto-molded hot tub or an acrylic hot tub. Roto-molded hot tubs are constructed using polyethylene pellets to make the interior shell. The shell is then inserted into a surrounding cabinet, creating a single unit. Acrylic hot tubs are made using an acrylic insert, which gives them smooth, sculpted curves and lines. To purchase a hot tub with a high-end look and a lot of jets, an acrylic hot tub is a good option. However, a roto-molded hot tub is a better choice if you want a hot tub that doesn’t need to be hardwired. All hot tubs need covers to keep the water warm. If you’re purchasing a hot tub that will be outside or you have small children, purchase a cover that locks. 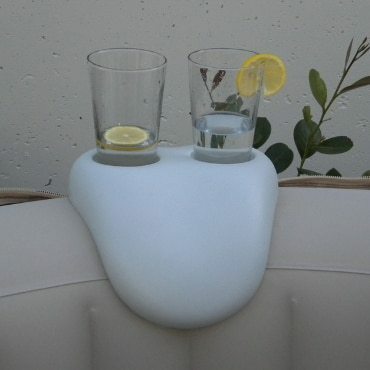 Also, take the hot tub’s features, such as built-in cup holders, into consideration. To add to the experience using scent, opt for a hot tub with an aromatherapy feature. If you want to use your hot tub for low-impact exercise, a swim spa gives you all of the benefits of a normal hot tub, but it has enough space for you to exercise.